The South Koreans do it again, schooling Hollywood how, or really reminding them how to make a brilliant crime film filled with all the right elements to create suspense and excitement. Move aside Neesons, Willys, Stats, Arnies and Slys, this film will satisfy you in ways they can’t even dream of nowadays. The literal translation of the title of this brilliant South Korean action thriller is “Take it to the End” which may have been a more fitting English name as events of a day lead on into the following days. Detective Go Geon-soo played with absolute conviction by Lee Sun Gyun is being tested to the max by life and his choices; the chickens’ coming home to roost, all in a very short period. His mother has just died and his police squad is being investigated by Internal Affairs for corruption, on his way to the funeral he commits a fatal hit and run and then tries to cover it up. To say anymore would be unfair to the uninformed and lessen the enjoyment that this superb thriller has to offer. The Hollywood execs could do with taking many, many notes from the way this thriller is put together. The edge of your seat suspense doesn’t really stop until it has been ‘taken to the end’. It is reminiscent of the way Breaking Bad took you on a roller-coaster and never let you off half way. The twists and turns of the ride were never how you thought it was going to be and constantly surprised. This is Kim Seong-hun’s second film as a director and it really feels as accomplished as though it were in the hands of a seasoned veteran like a Michael Mann, it also brings to mind the excellent Hong Kong cop thriller ‘Infernal Affairs’ that was remade by Scorsese into the inferior ‘The Departed’. No big shoot-outs here though, just turn up the heat and let it boil. The acting is 100% believable with nary an actor out of place. This is what separates this from its Hollywood studio counter-players. No actor is weak, the script is taut, the direction fluid and the editing and soundtrack spot on. There are so many thrillers coming out of America and not one, of late, comes close to building the tensionthe way it is done here. Cho Jin-Woong plays the nemesis to Detective Go Geon-soo and does so with a menace and relish rarely seen on the big screen. It is only his second film and we’ll definitely be seeing more of this talented actor in the future. Sure, we have seen many of these plot devices before but we will suspend disbelief if we are being entertained and this certainly delivers in that department. Move along Hollywood, South Korea has arrived. 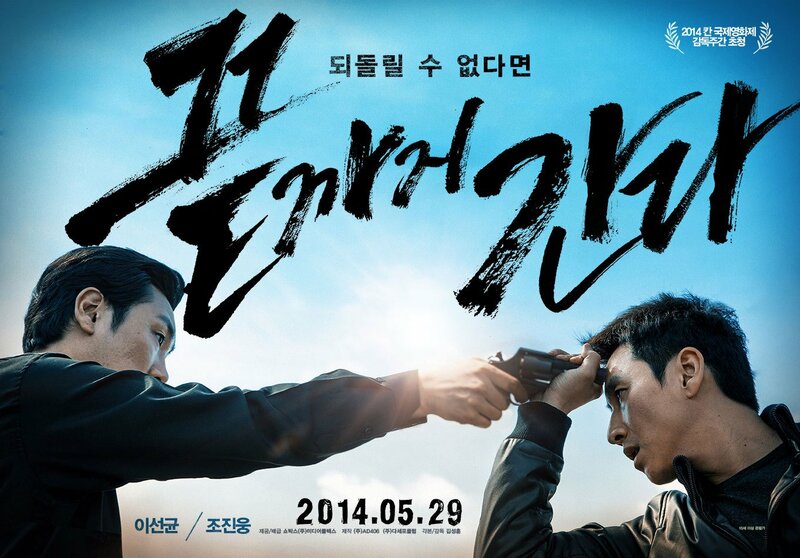 Anybody else feeling the South Korean wave of quality films coming out? Let me know of any recommendations. What’s your favourite South Korean film?